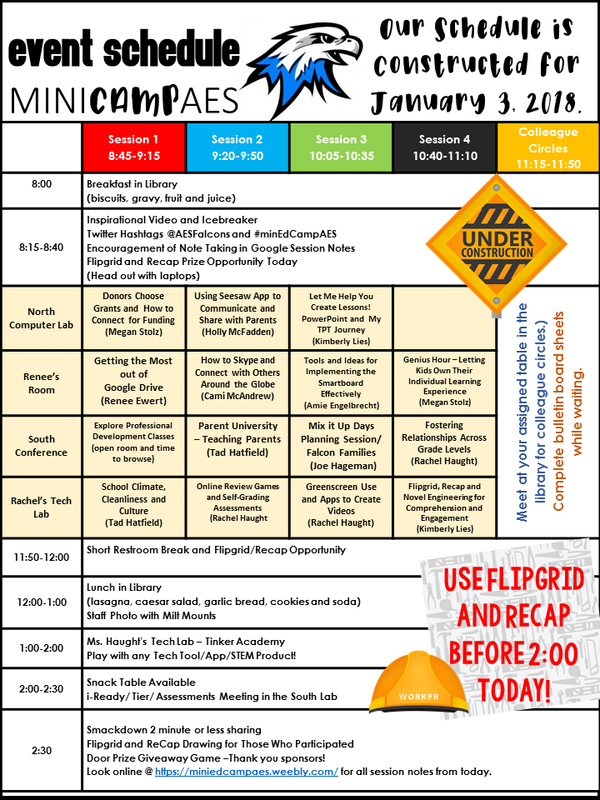 Join us on January 3rd to see session notes, shout outs and teachers who are excited about implementing new tools and strategies in their classrooms. One Participant From Each Session Will Type Notes. AES Staff Are Committed to Using Professionalism. They'll Think of Others and What Should Be Shared. 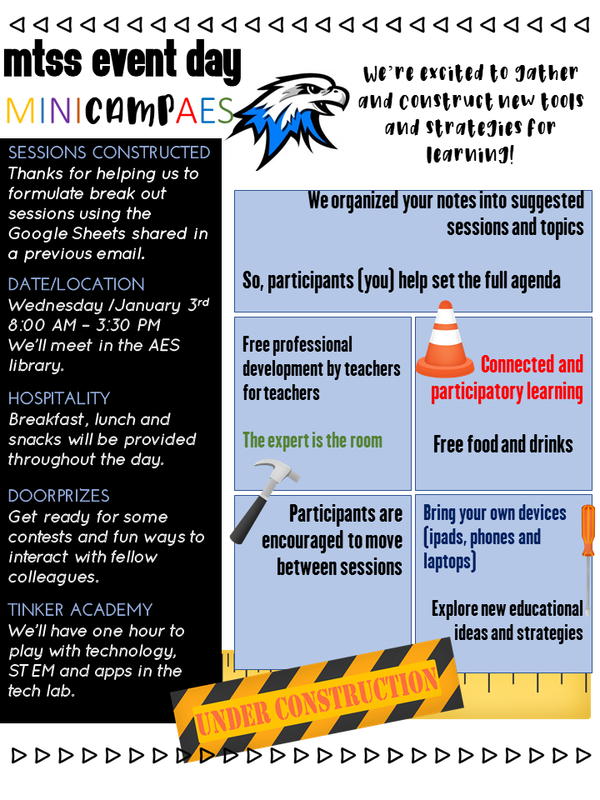 Those Who Were Unable to Attend May Check Out the Notes to Find Out More About the Strategies/Topics Discussed. Website links, etc. are Fantastic!